How many fashion shows you attended took your breath away where the whole collection is stunning , but yet wearable? Very few, however, when it comes to the the prominent Fashion designer Oscar de la Renta its an “exception”. He was known to be giving woman power by dressing them with his regal designs. As a designer, he had an eye and taste for what women are after; he believed they should feel feminine, comfy and chic all in the same time. In the 1960s his turning point was when he dressed Jacqueline Kennedy the first lady at that time, and by then in 1965 The Oscar de La Renta House was founded. The designer at the end of a 1997 show in Paris. The Dominican Republic born Fashion designer lived in Spain and Europe for a long time, which seems to show so much in his dresses creation and choice of garments, very soft and classic. He had so much pride to his hometown once stated “My great strength is knowing who I am and where I come from”- my island. 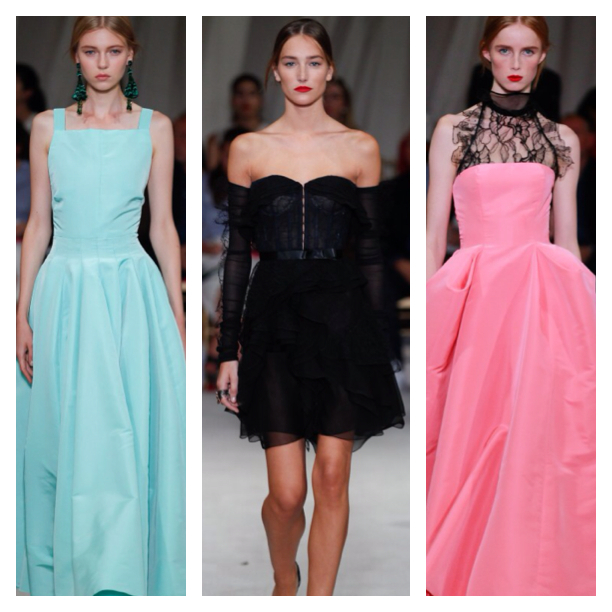 In his early years of design in the 1960s,De la Renta used unique color, fabric and embellishment which made his collection so popular in that period and remained iconic to this day. He often referred to his tropical background and vibrant color of the island as a source of inspiration for his unique designs. 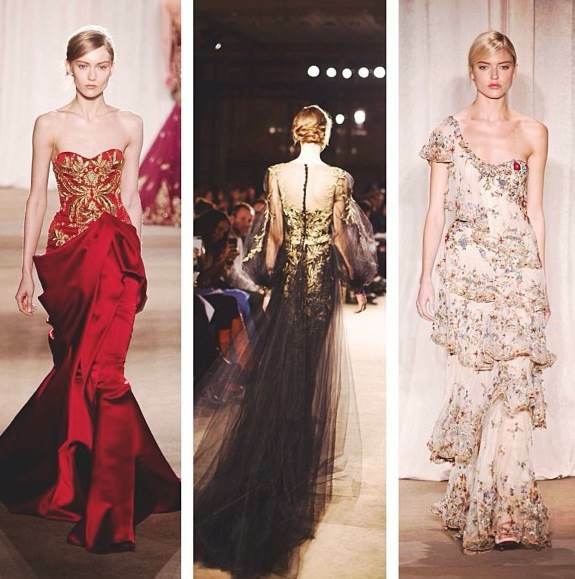 In October of 2014 Peter Copping Joined the Oscar’s Fashion House as creative Director. He proved to share common design traits as the Co. founder where he included 3D embellishment, ruffles (inspired of flamenco dress) and feminine waist cut. Elegance, outgoing, and old style glamour is exactly what springs to mind the moment I got to watch the Spring/Summer 16 runway show which took place in New-York there was something impeccable about the collection. During an interview Copping stated he was searching for modernism whilst have a hint of history for the upcoming Season. 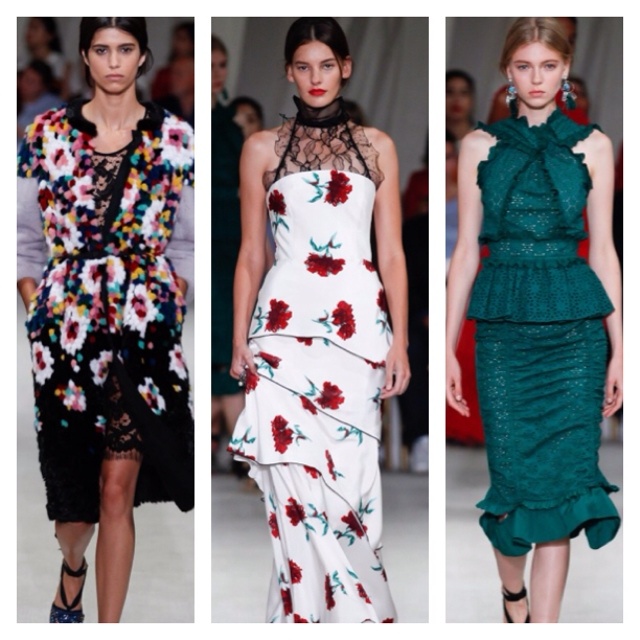 A cultural heritage has been truly embraced in this collection, which showed classical Spanish signature , that he thought would be a kind tribute to the founder, such as implementing lively colors (vibrant crimson) ,flamenco dresses, lace , tulle , vibrant jewel ,and studded espadrilles. The brand seems to stay true to its identity, rich heritage and its all time reference which was Traditional Spanish costume. This made the designer grow in design but in the same time implement a new era gesture of “casual chic” to the fashion house. I personally loved the whole collection , and thought that Copping did a great job by taking the house fashion line to another level of young ,and contemporary while conveying a deep reference point of the fashion house by designing delicate garments with a Spanish romantic twist. He involved the need of nowadays woman lifestyle by adding a bit of ecstasy, where an innovative wider young generation will be captivated , thus style will start to evolve with time further than what we predict in the fashion world.